Small business grants are a form of funding and support given by government and certain private bodies to UK small businesses who meet a particular criteria. For example, a local government body may award a monetary grant to new businesses starting in a specific area to support the local economy. Grants typically range in size from £500 all the way to £500,000 and much more in certain cases (I.E. European development grants). The criteria for each grant scheme varies greatly but typically the larger the grant funding award, the more complex the eligibility conditions and the process of applying (I.E. a small startup grant of £1,000 is usually much easier to get than £100,000 R&D grant). Many grants are also match funded, meaning that to be eligible for a grant the applying business must be able to raise internally or externally finance to provide 10-70% of the overall cost of the total project (the grant providing the rest). Though not strictly a grant funding, we felt SEIS was very relevant to add to this list. 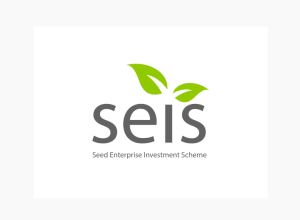 SEIS is a tax relief designed to encourage investors to invest in UK companies. In essence, investors can claim eligible investment against their tax bill, significantly reducing capital risk. Many professional investors and business angels now require SEIS at Angel Stage before they even look at a company. You can apply for SEIS status with HMRC here. Funding: The relief allows investors to claim back up to 78% of their investment through tax in the first year (up to £150K, as of Jan 1st, 2014). Once companies are approved for SEIS status, there’s a process you must go through with HMRC to claim on behalf of your investor. 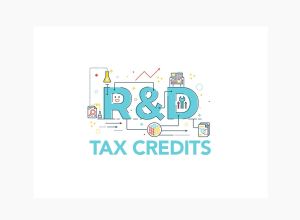 The research and development tax credits scheme allows you to claim back a significant amount of your development costs back in cash each year! If you are a startup heavily focused on development, then this scheme is well worth checking out. The paperwork itself is not too complicated to fill in; there are also a few expert agencies about who can help you with filling it out for a price. You can find guides, more information and how to apply here. A recently opened grants programme, the Childcare Business Grants Scheme is intended to support entrepreneurs in setting up their own childcare business. This grant programme is part of the UK governments strategy to increase the amount of childcare available to UK working parents while decreasing the overall cost. The scheme is from the Department of Education, there is a limited amount of funding available, and the scheme will stop once this fund has expired, so apply soon! Funding: Grants of £500 or £1,000 are available. The Prince’s trust grants have been dedicated to rendering financial assistance to young entrepreneurs since 1976. It offers an exclusive Enterprise Program that provides grants and mentors to young individuals to help them start their own business. To apply for the grant, you are required to fill the online application form. 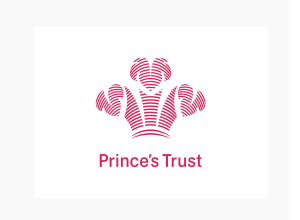 Funding: The individual must be 18-30 years old to apply for the Prince’s Trust Grants. For individuals, the grant offered is £1,500 whereas a business group may avail a grant of up to £3,000. A test marketing grant of up to £250 is also provided to individuals, to help them evaluate the market value of their product. Apprenticeship grants support work and training designed to meet the needs of employers. They take 1-4 years to complete and bring together practical training with job-based learning. You can find more information and apply here. Funding: The national apprentice service may give funds for training. The quantity of funding depends on your business area, with funding for 16-18 years beginning at 100%. You may also have access to an Apprentice Grant of up to £1,500 (10 employees max) for employers taking on apprentices aged 16-24. You can apply and get more information on Innovate UK here. Funding: £5,000 to pay for externally-based experts and consultants to grow your business. The Launchpads grant funding competitions are for companies looking to turn new, innovative and exciting ideas into viable commercial projects. The grants are primarily for businesses in specific areas of the country and are allocated three times a year (these change intermittently, check the site). To be eligible for a Launchpads grant you need to be a small or medium-sized business in the early stages of development, working in the technology industry, be in an applicable geographical cluster or be planning to move there and have ambitions to grow your company. Funding: Up to £100,000, you must be able to match the grant amount with the same of private or self-funding. The SBRI initiative provides contracts and funding for businesses to carry out research or carry out the development of new products or services for the public sector. The programme aims to fund innovative ideas that can enhance public services or solve a specific public-sector problem. Any business is eligible to apply for an SBRI contract or grant. Funding: Initial funding between £50,000 and £100,000 with further funding of to £1,000,000 to develop your project or idea further. The level you apply for depends on the stage of your company, your finances and what you are looking to develop. You will need to be an early stage business, have serious growth ambitions and work in the technology, science or engineering fields. 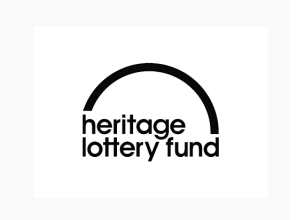 Heritage Lottery grants are only offered to individuals running a non-profit organisation or entrepreneurs who are going to start a new business. They can also help entrepreneurs with introducing new setups for their businesses. The Heritage Lottery Fund also takes the outcomes of your business endeavours into consideration when assessing applications. The applications remain open for the whole year so you can apply at any time. It takes eight months to process the application. Funding: There is no amount of funding specified, but it does depend on the state of your business. The CRACK IT Challenges are a series of grants in the form of challenges supporting a partnership between academic organisations and SME’s in solving business and scientific challenges while delivering commercial benefit (the rapid researching and commercialisation of new technologies in effect). The principal funder of the grants scheme is the NC3R’s, the challenges are developed by NC3R’s and program sponsors, check the site for the latest challenges. You can apply for a single phase challenge, a double stage challenge or even submit a challenge idea. Funding: Depending on the challenge contract up to £1,000,000 over three years. The Eurostars program is a European Union funding project lead locally by Innovate UK. Eurostars grants provide funding for the development and research of innovative services, products or processes. You can work with partners in other European projects to collaborate on funding proposals. To be eligible for a Eurostars grant, you must be a small to medium-sized business in the UK, be working in the tech industry and have the intention of collaborating with other European companies (large companies can still participate in Eurostars projects but must self-fund). Funding: 50% match-funded grants with up to £300,000 in funding available. You can find out more about Horizon 2020 and the latest grant calls here. Funding: Bids can range from £100K to £10 million plus. Horizon 2020 has a complicated bidding process with several different grant calls going out at any one time, as well as various delivery agencies. The grant is focused on EU inclusion, so it is likely you will have to bid with at least one other company from another member country of the European Union. The Collaborative grants scheme endeavours to push forward the boundaries of technology by providing significant grant funding to fund/accelerate research and development programmes of UK organisations developing new products, services or processes. To qualify for collaborative R&D grants you must be a UK research organisation or business, be working in science, technology or engineering industries and be collaborating with a fellow research partner or company. Funding: Grants can be up to 60% of total cost and between £25,000 and £5,000,000 in amount. The Catalyst grant programme is designed to fund initiatives invested in creating new knowledge or developing groundbreaking/innovative products, services or processes. Innovate UK runs four different Catalyst Programs including Industrial Biotechnology, Energy, Argi-Tech and Biomedical. To be eligible for a grant you must be a UK business, thinking of starting a UK business, working in one of the four Catalyst areas and working with a fellow business or research partner on the project. There are three core stages of funding including early-stage (feasibility studies), industrial research (prototype) and late stage (testing). Funding: 60% of total costs with an overall grant award of between £150,000 and £10,000,000. The funding levels vary on the stage of your business and project. The Arts Council have been funding creative projects across England for decades, providing grants supporting to organisations running a vast range of art and cultural initiatives. Grants for the Arts is a funding program to support art organisations and individuals in visual arts, dance, theatre, literature, music and more. To be eligible, you have been furthering art and culture, creating a long-term impact and providing a project that is accessible to anyone, i.e. play at the theatre or art installation. To date, the Arts Council has given out £1.5 billion in funding and grants to projects. The GBI is a capital grant offered by the Regional Development Agencies (RDAs). These are mainly intended to help businesses expand and diversify their perspectives. It can help entrepreneurs set up a new company or fund a new project. The grants are given to high-budget projects whose outcomes can be evaluated on a long-term basis. These grants are often dedicated to funding projects that can bring prosperity to economically deprived areas. They are specially granted to offshore wind manufacturing projects. You can apply for the grant directly from the GBI website. Funding: The minimum financing offered is £10,000. The grants are available for businesses of all sizes with a different ratio of funding. As part of the governments push to accelerate haulage and transport businesses in shifting to using electric vehicles, the Plug-in Van Grant Scheme offers business owners of N2 and N3 class vehicles 20% off the initial purchase price, subsided by the government. To meet the scheme eligibility requirements, you will have to meet necessary commercial vehicle performance criteria on the range, safety and ultra-low tailpipe emissions. To date, the scheme has funded the purchase of more than 2,500 vans and will continue until 5,000 vans are ordered or until the end date in early 2018. Funding: 20% price cut for regular vans costing up to £8,000, with a higher price limit of £20,000 for the first 200 heavier electric vans bought. Initially arriving to the UK in 2016, the FedEx Small Business Grant is a general funding award being offered to UK small and medium businesses with less than 100 employees and have been in operation for two or more years. (The 2017 scheme has now closed with details to follow about 2018 at some point). The initial stage of the application requires you to submit details about your business dreams and goals to FedEx online, from a shortlist of companies will be requested for business plans and winners of the grant will be announced. Funding: A main grant of £20,000 with smaller grants of £5,000 for two runners-up. TAP has been set up to help UK businesses promote themselves abroad by providing grants for companies to visit trade shows overseas, assisting businesses to attain foreign explore, gain market knowledge and access advice/support of international trade experts. To be eligible for TAP, you must be attending an even listed on the official TAP Calendar and be a UK SME, be already exploring export opportunities, be a new exporter (export accounts for less than 25% of your business. Your business must also have been exporting for less than ten years, be under the state aid limit, not be receiving any other public funds towards the trade show and not have confirmed attendance to the tradeshow before applying for the grant. Apart from the core eligibility criteria, you will also have to show you are either selling services/products from the UK or that you are adding a significant amount of value to a product/service not coming from the UK. Funding: £500 to £2500 is available. You must 100% match the grant received from Trade Challenge Partner towards the cost of attending/exhibiting at the tradeshow. KTP grants are awarded to businesses who employ recent graduates working on innovation projects; graduates must be working in coordination with and supervised by a research partner. The grant is open to businesses large and small, but the % of funding varies depending on size and project. Other than that, to be applicable for a KTP award you must be a UK business, charity, educational institution or private/public sector research organisation. Funding: Up to 67% of project costs, larger businesses may only apply for up to 50%, a limit on the financing is not stipulated but is assumed. Feasibility studies grants will support you in testing a new business idea to see if it will work, this includes new product development, a new process or business model development and service development. To qualify, you must be a United Kingdom-based research organisation or business and be able to showcase your final project at a national collaboration event. Your proposals must be business focused and meet the theme of the grant. Funding: 70% grant funded up to the amount of £400,000 (research organisations can get up to 100% depending on the project). The Arts Council run a rolling grants program to support cultural, art, theatre, event and other creative initiatives, it is reasonably substantial and is open for application by both organisations and individuals (there is no limitation on for-profit companies). The Art Council grant scheme is perfect for organisations who are undertaking creative projects as part of their primary activity for instance theatre companies, art galleries and more. Larger corporations could take advantage of the program to complete partially fund cultural or art initiatives that have a meaningful; impact or further and preserving long-term British culture or art. To apply, you will need to create an account with the Arts Council website, create your profile, after this you will have to wait for your account to verify, then take an eligibility questionnaire and start your application. It is not a quick grant program with answers beyond application taking 6 – 12 weeks, but it is one of the clearest and easy to follow funding processes available for UK organisations. Funding: £1,000 to £100,000 (Grant requests of £15,000 or below take six weeks or less to get a decision, grants over £15,000 take 12 weeks or more to get a decision). The New Enterprise Allowance is a grants fund dedicated to supporting unemployed persons with becoming self-employed and running their own business. The scheme provides a grant in the form of a weekly allowance over a 26 week period; you are likely eligible if your or your partner are receiving any benefits (JSA, UC or SA). Aside from a monetary grant, you will also receive a mentor to provide guidance and support through planning, setting up and running your new business. If you have been out of work for a while, this scheme is perfect for helping you in setting up a new business. You can find out more about the scheme by going to your local Jobcentre Plus and speaking to a work coach. Funding: A weekly allowance worth up to £1,274 over a 26 week period. In partnership with O2, the National Youth Agency are running The Environment Now programme provides grants to young people (17 – 24) who have come up or are coming up with innovative ways to use digital technology to provide innovative solutions to environmental issues. The grant is primarily for young people innovating in improving energy efficiency, recycling and reducing waste. Aside from a grant, you will receive work experience, mentoring and professional insight into your project area. This programme principally funds non-profit organisations for policy change and “voice” work. It will not fund commercial organisations. One of the oldest charitable trusts in the UK, the Barrow Cadbury Trust aim is to bring about just social change, through funding projects that will create significant and sustainable change in society for the better, creating more equality across migration, criminal justice and economic justice. With the Economic Justice grant programme being the most relevant program for businesses seeking a grant. If the project you are proposing for the grant is focused on lowering economic inequality between the richest and the poorest in society. With historical links in Birmingham, organisations in that area will also have an added advantage in applying. To apply, you will need to consider first if your project/proposal fits within the criteria of the Economic Justice programme, then fill in an application form with your goals, measures and theory of how you can create change through the project. Once you have supplied, these details expect a reply within ten days to whether you have progressed and should begin making a full application. Funding: Amounts of funding are not specified but given the history expect small to significant grants to be made available based on varying projects and outcomes. EIS is a tax relief scheme investment is focused on later stage companies. Approved startups can get their investors back a hefty amount of funding in tax benefits. You can apply for the Enterprise Investment Scheme here. Funding: Investors can claim up to 30% back in tax on investments (up to £1million, as of Jan 1st, 2014). Investors can also defer capital gains tax on such shares. The Patent Box scheme allows profitable startup and small companies to almost halve their corporation tax bill in some cases. You will need to have a patentable product to be eligible, as the grant is aimed at fostering innovative companies in the UK. You can find a detailed guide on Patent Box relief and information on how to apply here. Funding: Up to 50% off your corporation tax bill. In practice, though, it is closer to just under 40% for most. Setup to help rural communities in the UK face modern challenges, the Prince’s Countryside Fund provides grant funding to projects that have a long-term positive impact in regards to assisting entrepreneurs to work and live in the British countryside. The grants are provided to businesses or organisations who seek to increase the potential return and longevity of family-run farm businesses, sustain and grow rural economies or provide necessary aid to support areas hit by hardship (for more details on this check out the Grant Eligibility and guidance document). Funding: Up to £50,000 per project (with more than £1,000,000 in funding being awarded each year). The British Council issue grants on a rolling basis through a range of funding programs including the Newton Fund and Artists International Development Fund among others, funding amounts vary widely programme to programme. Funding: Varies grant to grant. This fund is focused fostering innovation and development within the creative industries including art, fashion, design and more, with a further focus on the development of young people in the sectors coupled with collaboration between countries and cultures. Within this area, grants and programmes run on a rolling basis with new calls coming out regularly; the majority are business relevant including the Artists’ International Development Fund and Shorts Support Scheme. The Big Lottery Fund provides a range of grants that are mostly focused towards delivering community or charity funding with the aim of instigating social change. However, some programmes including the ones listed below are available to for-profits, community interest companies and social businesses. The grants tend to range from £300 to £500,000 or more. The Improving Lives program aims to fund socially focused organisations working with people who have overcome some form of difficulties in their lives and built up resilience; the program area is limited to Scotland. Most relevant to businesses in the education, therapeutic or other industries. Funding: £10,000 to £1,000,000 in total funding. Grants over £150,000 require a two-stage process and a further application form (grants above £500,000 are not routinely considered and more likely to be accepted if they have some match funding in place). The grant program is dedicated to providing funding for projects where people and organisations are working together in their local community to bring about change and a positive impact, and it is limited to Wales. The program is limited in applicant scope only allowing certain types of businesses to apply including community interest companies (CIC), social enterprises and not for profits. Funding: £10,001 to £500,000 (Medium grants funded up to £100,000, large grants up to £500,000). The Youth Investment Fund provides funding to community organisations, social enterprises and youth groups to deliver a high quality of Youth services in areas across England; successful applicants are funded for several years allowing investment in the future and sustainability. Organisations applying for grants in disadvantaged areas are most likely to receive a grant. The Power to Change Fund is designed purely to support community-based businesses in the UK; this means businesses run by local people for local people in the process protecting local services and meeting local needs. Aside from social entities, community interest companies and charities, they do fund limited companies but are very strict on the community criteria, take a closer look at the four essential features of a community business. To apply aside from the above, you will need to propose a project beyond your usual line of business, provide a year’s full accounting information and be able to fund part of your project from another source. Funding: £50,000 to £300,000 (they will not fund projects to 100%, you will require some other source of internal or external finance to put towards the project proposed). The Forest Commission run a range of funding and grant schemes designed to expand, protect and promote the sustainable management of woodlands in British society. These grants are highly focused on businesses and organisation involved in land management, and woodland, details of open funding schemes can be found below. (Closed and legacy grant schemes include FWS and FWPS payment rates, Woodland Grant Scheme, Farm Woodland Scheme, Farm Woodland Premium Scheme and the English Woodland Grant scheme). The Forestry Innovation Fund is a national fund put together by DEFRA with more than £1,000,000 to fund projects that promote the growth of the forestry industry within an applicant organisations local region. As part of the RDPE program, the Countryside Stewardship Scheme comprises nearly £900,000,000 in grants and funding opportunities that will be made available to UK woodland managers and farmers for the foreseeable future. This fund is to support farmers and woodland managers to look after the environment including in areas such creating new woodland, solving tree health issues, act in support of management plans for the government and improve existing woodlands. A decision tree can be found on their website detailing the different types of Stewardship funding you could access depending on your proposal. Funding: Not detailed, assumed substantial. WCPG provides contributions in the form of grants to land managers collecting and analysing information for productive multi-purpose woodland proposals including any impacts on water, biodiversity, historic environment and more. To be eligible the applicant business or individual will need at least 10 hectares of land, for 70% or more of species in the proposed area to be productive and for at least one woodland block on the land to be more than 10 ha with any further blocks being a minimum of 5 hectares. The land applied for must also be in the England. Funding: £1,000 for initial land assessment and data collection. With a further £150 per hectare (the initial £1000 is incorporated into the overall payment). Initially based in the UK, Unltd has become a global and influential partner and investor for social entrepreneurs, social businesses and social enterprise across the world. They run a range of grant, support and award programs to support entrepreneurs right through from setting up a new venture to scaling, below are a list of currently active grant programs we have identified as a good for socially minded businesses. The Transform Ageing program aims to drastically improve the approach and services we provide to society when dealing with the elderly from social care, health and wellbeing point of view. The programme provides support for businesses and organisations who work in several core areas of focus/innovation including developing or providing solutions to the elderly that create positive experiences, enhance independence through transportation or mobility, support carers, make relevant information more accessible, support people in making life changes or creating opportunities for connection. The programme itself is separate from any funding, but you can apply under the programme criteria for one of Unltd award schemes. An eligibility criterion is detailed on the site. Aside from pure financing, you can get expert advice and support through making your idea a reality or scaling your social organisation. Funding: £0-25,000 (The early stage awards do not list an amount of funding if any its assumed small. However, the venture level awards provide up to £25,000 in funding to established organisations). The Spaces 4 Change program aims to support young social entrepreneurs in taking ownership of vacant or under-utilized spaces in their local area to use an office or retail outlet for a new social venture. To be eligible for the program you will need to be aged between 16-24, must be based in the UK, apply as an informal group or individual, have a clear project plan in place with specific outcomes. In their own words, the Do It Awards are here to “help you to create more positive social impact”. They are designed to provide 1 to 1 support, expert advice and a range of resources for young social entrepreneurs who want to turn their idea into a thriving social venture. Funding: Monetary finance is not detailed, but they do say it is included, it is unclear what form this investment would take, best to ask before applying! The Grow It Awards are for social entrepreneurs who are focused on growing their venture and are seeking tailored support, expertise and further funding (this award replaces the Unltd previous program of Fast Growth and Build It Awards). To be eligible, you will need to meet the Untltd criteria as an entrepreneur and as a venture, as well as a monetary award if successful you will get expert advice, access to investors, corporations and other entrepreneurs coupled with 12 months free coaching. With a focus on the digital economy to current and future growth, the British Government are trying to increase the number of businesses who can access high-speed broadband and internet. The Better Broadband Subsidy Scheme is part of that initiative and as such offers subsidies to business for installation of broadband if they cannot get access to affordable internet providing a minimum speed of 2mb. This grant is most useful for businesses in remote areas who do not have to access to standard broadband or fibreoptic, allowing you to avoid paying for expensive and comparatively slow satellite internet. A government-funded initiative, Sustainable Routes create travel efficiency plans for individuals and businesses, to cut down on travel time, mileage costs and Co2 output. They also offer grants towards the cost of creating and implementing a travel efficiency plan in the workplace. All businesses are eligible, particularly those who interested in reducing their environmental impact while cutting travel costs. The Energy Entrepreneurs Fund is a grant funding programme to support the advancement and presentation of cutting-edge technologies, processes and products in the core sectors of power production, electricity and heat storage and energy efficient. The scheme overall seeks the advancement of energy technology by assisting SME’s monetarily as well as with other benefits including incubation space and expert support. Phase 6 of the fund has recently been launched and is over £10,000,000. To be successful, applicants will need to present hard evidence to support their case for funding. This will include but not be limited to the likely impact of their project on 2050 low carbon targets, the scope and precise nature of the business opportunity, the value for money and further cost reduction and the overall technical viability of the project as well as a detailed roadmap for development. Funding: Up to £1,000,000 in funding. The foundation provides a range of grant funding programmes to support large UK organisations who can solve local issues in areas of significant urban deprivation or isolated and vicarious rural communities. Within these two core areas, the foundation is most interested in projects within disability and healthcare, community support and art, heritage and education. Funding: Grants are split into three sizes/tiers including up to £6,000, £6,001 to £12,000 and £12,001 to £45,000 (typically they require that you put up at least 50% of the total cost of a project costs to be considered for a grant). Designed to support not for profit companies who are looking to improve their local community by starting or growing projects in the fields of recreation, cultural facilities, rebuilding biodiversity and community buildings. Biffaward eligibility varies based on the area your project is in, check the website for more specific details. Funding: Up to £199,000 in total project cost (typical grant sizes are not exampled but assume some level of match funding is required above small grants levels). The Carbon Trust operates the Green Business Fund which covers a certain amount of capital costs for medium and small businesses in the UK when buying energy reducing or saving equipment. The grant scheme covers the entirety of the UK (minus Northern Ireland). To be eligible, you will need to purchase equipment from a Green Business Directory or BESA supplier; the funding is on a first come first serve basis until it runs out. Funding: Up to 15% of total project costs, with a maximum grant of £5,000. The AHF established in 1986 is dedicated to promoting and supporting the conservation and re-use of historic buildings to the advantage of local communities across the UK. With this overall objective in mind, AHF is one of the UK’s leading social investors offering a range of grants, loans, advice and much more. For a project to be eligible for a grant, it must have the potential to create significant economic and social benefits for a deprived or in need community. You must be able to demonstrate the social and heritage impact of your project also be registered as a charity or social enterprise with a limited liability structure. You also need to prove that you have a clear and attainable roadmap to project competition, its advisable to speak to an AHF grants officer before making an application online. A £40 million fund run by Discover England designed to support their tourism industry in being competitive on an international landscape, the fund mainly promotes inbound tourism. There is an emphasis on getting tourists to explore other parts of the YUK rather than just London, in creating better transport links and offering customers easy booking options online. Grants are delivered for small-scale pilot projects and large-scale collaborative projects. To be eligible for a grant award you will need to be creating or providing a world-class tourism product or service. Funding: Not stipulated, likely dependent on project size (it is a massive government grant project so also assume some requirement for match funding). The plug-in grant allows auto manufacturers and dealers can apply to get grant funding to reduce the price a business/individual will pay for any given car that meets government emission/electric conditions. Thus, reducing the overall price to the customer and generating more sales for dealerships and manufactures on car models. To be eligible you will need to be a car dealership or manufacturer, and you will have to apply on behalf of the customer, vehicles available for a grant include select category 1,2 and three cars as well as motorcycles, mopeds, hybrids and vans (a plugin in van grant may be better). Funding: 35% of the purchase price up to a maximum of £4,500 on eligible vehicles. An initiative run by the UK government to accelerate the growth of the commercial market of Hydrogen fuel cell electric vehicles. The Fuel Cell Electric Vehicle Fleet Support Scheme provides grants to public sector and private sector organisations including private companies grants to buy FCEV’s (the main difference being there is no cap to the grant for public sector organisations acquiring these vehicles). Funding: For private companies, you can get a maximum of £200,000 per business to cover up to 75% of the cost of acquiring a fleet of FCEV’s including fleet management, car insurance, fuel, project reporting and more. It is a £2 million pound and will close when exhausted. The scheme is aimed at Companies with no atomic experience and that are involved in high-level precision mechanical engineering, supply instrumentation and control, electrical components or production of other manufactured devices for nuclear plant operation, construction or decommission. The programme is eligible for businesses that have ten employees or more than £16,000.000 in turnover annually (the process will be complicated for micro-enterprises, but those with exciting products or services should get in touch). The overall programme will take 12 – 18 months to complete. To celebrate more than 20 years of the Heathrow Business Summit, Heathrow Airport has established a grants scheme to offer small grants to support growing businesses in travelling to new export markets. The World of Opportunity SME Grants Programme provides up to 20 SME’s with funding awards to support trade missions, international trade show attendance or market research abroad. The IPA’s promote collaboration between industry and academically inclined research organisations with all projects being academically led. There is a detailed eligibility page, you should read. Funding: (You or a partner must contribute at least 10% of the overall project cost, the grant can cover the rest). The IMI’s primary objective is to increase the development speed of innovative medicines and patient access to these medicines, particularly in areas where social or medical needs are currently unmet. The program develops medicines, vaccines and treatments such as next-generation antibiotics. The grants aspects of the program support third-party organisations including SME’s, universities and patent organisations in participating in its projects. The grant can take the form of providing personnel, covering other direct costs, a one-off financial contribution and free subcontracting. Given the highly detailed nature of the program, you will need to check out the more advanced IMI2 rules before making an application. Funding: Dependent on the project and organisation. The Access to Work Funding scheme provides financial support to the disabled persons who have a paid job, are about to return to a paid position or start a business. With starting a business in mind, if reasonable employer adjustments have been made by your employer and you have further needs then the fund can support you in financing special equipment for work or transport in getting to and from a work location. To be eligible you must have a health condition or disability that makes it difficult for you to carry out or travel to or from your job, you must be over 16 years of age and live in the UK (Northern Ireland has a different scheme). Funding: No limit specified (assumed maximum below £10,000). The Britten-Pears Foundation supplies grant funding to a range of initiatives involved in music, pacifist and local causes. Concerning grants for music, the foundation has funded many musical projects over the years including composition retreats and much more. There currently reviewing funding calls, so make sure to check the website for the latest programs. The grant programs are most likely to be relevant for music based businesses. Many businesses pay business rates to their local council, and many are eligible for discounts in the form of business rates relief. Despite the fact many discounting schemes are on offer and vary council to council. There are several core types of business rates relief which can reduce or even exempt your business from paying business rates including small business rates relief, hardship relief, enterprise zone relief, charitable relief and rural rate relief. Funding: 0 – 100% reduction in business rates payable. As part of the £33 million Business Growth Programme, the High Speed 2 Supply Chain Programme is working with 4 Local Enterprise Partnerships (LEPS) in the Midlands area to support businesses which are, are in the process of or have the ability to secure a commercial contract for HS2. Funding: From £20,000 to £167,000 in funding available per project. The grant can cover between 10% to 50% of the overall cost. Coverage: Birmingham City Council, The Marches, Stoke-on-Trent and Staffordshire and Greater Birmingham and Solihull. From a combination of multiple government departments, the Food Processing Grants Scheme is funded by the European Agricultural Fund for Rural Development. The scheme endeavours to support businesses making capital investments to create a new company or grow within a rural area. This program aims to develop the rural economy and generate sustainable employment in the countryside. You will find full details on the program under the RDPE Growth Programme documentation (there are significant requirements to be eligible for grants). Run by the local business partnership, the small business grant is designed to provide general funding for small and micro businesses in the Adur and Worthing area for specific projects or acquisitions that will make a difference to their business. To be applicable for the small business grant your business must have no more than ten employees, be located in the Adur and Worthing area and be able to justify how the grant funding will develop or further establish your business. Funding: You can apply for matched grant funding of up to £2,500, meaning you must also be able to contribute an equal amount to match the grant. As an example, if you apply for £1,500 in grant funding to buy a new computer system, you must be able to contribute a further £1,500 towards purchasing the computer system, meaning the total purchase would be £3,000. In collaboration with Sellafield Ltd, Allerdale Borough Council has set up a social impact fund with one of the primary purposes being to provide funding and grants to support and grow start-ups and small businesses in the Allerdale area. The scheme is focused on grassroots small business or new ventures in the Allerdale area that can have a positive social or economic impact. Further to this, any applicant to the grant scheme must demonstrate they have faith in their business venture by having put finance into their business prior or by raising it from an external finance source, i.e. investment, bank or loan. If you are looking for low-cost loan finance, they also provide loans for more substantial amounts and presumably competitive rates compared to traditional lenders. Funding: The grant is administered annually, and no specific funding amount is specified, you will need to fill out an expression of interest form to find out more. Business West in collaboration with the European Union Development Fun is providing Scale up coaching grants to businesses to hire business coaches to advise them in scaling their business. All SME’s in the west of England who are looking to grow in the next 12 months or create jobs are are eligible for this scheme. You can meet the Business West Enterprise team to chat more about the grant and funding possibilities at the Engine Shed in Bristol before making an application. Funding: £1,000 to £2,500. The grant can cover a maximum of 40% of total project/hiring a coach expenses. In collaboration with the local enterprise and apprenticeship platform, Arun Valley Borough Council are providing grants for new businesses who need to fund starting up and more established small businesses who can achieve a meaningful objective by gaining grant funding. Funding: The grant is up to £2,000 per business and is for companies located in the Arun Valley area, they also have free startup courses and business startup workshops available in Bognor Regis. Setup and run by the New Anglia Local Enterprise Partnership, the small grants scheme provides to support businesses. The grant is available for businesses wanting to expand or grow, build services or products or gain greater efficiencies or productivity. Any company must be located in specific parts of Norfolk and Suffolk. Application forms are available on the New Anglia Growth hub website. Funding: The grant is for between £1,000, and £25,000 will pay for up to 20% of the total cost of any project. The fund has funded nearly £900,000 so far in grant funding over 95 different projects put forward by businesses. The Growing Business Fund is a larger version of the small grants scheme offered by New Anglia with slightly different criteria. It is designed to support more established businesses who are looking to grow, are looking to invest, recruit or expand. The Growing Business Fund is in partnership with New Anglia LEP, Finance East and Suffolk County Council. Funding: The grant provides up to £500,000 in funding and covers a maximum of 20% of the overall cost of a project. For example, if you apply for £400,000, you will need to come up with the further £1.6 million to cover a £2 million project. Launched in 2014 by the Barrow Borough Council, the Shop Front Grant Scheme has £120,000 fund and provides grants for businesses on specific streets in Barrow Town Centre who are looking to renovate or upgrade their shop fronts. For example, this could include new windows, facias, signage or lighting. The grant is for small retailers and small independent businesses with less than 50 employees. Furthermore, to be eligible for the grant, you must be enhancing the property in some way, not carrying maintenance. Your business must also be open five days a week, must occupy the unit/building proposed for renovation, have property ownership or tenancy for a minimum of 12 months. Further to the above conditions, projects must be professionally designed, cover only exterior finish, and you cannot have successfully applied for a previous Shop Front Grant from the 2010 or 2012 scheme. If you sell the property that uses the grant or the business closes within two years a certain % of the grant must be repaid depending on the time elapsed. Funding: The grant size applied for can vary but the grant can only fund 75% of any renovations or work, the owner/grant applicant must provide the further 25%. A combined grant funding initiative from the UK Steel Enterprise fund and Blaenau Gwent County Borough Council regeneration division. The Kick Start Grant Scheme is designed to support small businesses and new ventures. The only criteria for applicants seem to be that your project must be a startup in the Blaenau Gwent area, you can apply by contacting the councils economic development team. Funding: The grant is 50% matched funded, and the maximum amount of funding provided is £2,000. For example, to apply for £2,000, you will need £2,000 of your own money to invest in the business. Very similar to the BG Kick Start scheme above with the same application criteria, the BG Effect Business Fund is there to support startup businesses in the Blaenau Gwent area. Funding: 80% of the total funding for any project up to the amount of £2,000, you can also get free expert advice and support from your local enterprise network. A funding initiative from Broadland District aimed firmly at existing small businesses who need the funding to expand their business. To be eligible for the grant you will need to have fewer than ten staff, be based in the Broadland District; you will also be required to submit your businesses accounts and quotes for the equipment or work you plan to pay for with the grant to expand your business. Funding: Up to £750 in funding. Run by the Caerphilly County Borough Council, the business development grant is for small businesses in the manufacturing industry, supplying to the manufacturing industry or who have over 60% of their business as B2B. The grant covers purchasing new equipment or services that must improve the business, i.e. Capital equipment, Websites and E-commerce, Business planning, Marketing and Feasibility studies. To apply you will need to provide profit and loss statements, cash flow projections and a business plan and management accounts for the last two years if your trading and your business is older than six months. You will also need to provide a minimum of two quotes for anything you plan to purchase with the grant. You can apply by reaching out to the business enterprise support team for the council. Funding: It is a discretionary grant up to £2,000 and can pay for up to 45% of the cost of the new equipment or services provided. This grant is for tenants or owners of business properties in Caerphilly County whose building has become run down over time and could benefit from renovation. These renovations include exterior landscaping, improvements to physical infrastructure, extension or development of commercial or retail buildings. To successfully apply for the commercial improvement grant you need to show how you project can create additional jobs, keep existing jobs, achieve environmental improvement, bring vacant properties into use, enhance and improve the local street environment where your business premises is situated. This grant is typically used by retail shop owners but is not limited and as such could apply to other areas including office spaces in the right conditions. You need to fill out an expression of interest form the begin the grant application process, once passed that stage you’ ll need to provide an application based on the council specification. Funding: Providing up to 50% of the costs of any work to a maximum of £15,000 for a single property. The Chichester District Council grants program, this is a grants program designed to support small businesses and economic growth within the Chichester District. As such they have two types of grant funding, the first “Fast track” is a faster, less intensive grant application process for grants of under £1,000, above this is a general grants program for grants more than £1,000. To be eligible for a grant you will need to meet the three priorities of the councils grant funding agenda and the six principles of any project. To apply, you will need to contact a funding advisor at the Chichester District Council. Funding: You can apply for financing below £1,000 and above to a maximum not stipulated. Run by the Chorley Council, the Shop Front Improvement Grant is a grant scheme for local retailers who wish to improve the visual exterior or vacant/occupied retail properties. To be eligible, you must be a leaseholder or owner of a retail property in the Chorley town centre. Funding: Up to 75% of the project costs to a maximum of £10,000. The BIG grant is for businesses in the Chorley area who wish to expand and in the process will create jobs and make capital expenditures. Expenses the grant can cover include renovation/building of business premises, security improvements and other costs. You can apply by submitting an application form on the council website. Funding: 50% of the project costs to a maximum of £10,000, with grants being administered in the order of £2,000 for each job created. Businesses who choose to relocate permanently to Chorley and who bring at least 20 long-term jobs to the area within 18 months of relocating to Chorley may apply for what is a quite sizable grant and incentive to relocate a business. You must only meet the criteria above with the only limitation being that retail businesses cannot apply for this small business grant. Funding: Up to £25,000, with £1,250 being provided per job brought. The Investment Fund is run by Coventry City Council in collaboration with Warwickshire County Council and Coventry University Enterprises. The grant is to support small and well-established businesses in need of financial support to start or grow. The scheme is specifically for businesses with less than 250 employees and who are looking to invest in capital assets such as computer hardware, software, machinery, new premises and much more. You will also need to have not received a grant previously from the council be able to show the need for the grant for your business to make the overall investment. To apply, you will need to contact one of the Business Development Advisors at the council to start the process and guide you through. Funding: The grant will cover 30% of the cost of a project with a maximum project contribution of between £1,000 to £50,000. The innovation programme is designed to support small and medium-sized businesses who are developing or looking to create innovative services or products. Regarding criteria, they are specifically looking for companies involved in developing emerging technologies in the areas of energy, data, IT connectivity, IOT, Assistive technologies, Advanced materials and more. These areas are not definitive so it is likely your business will be applicable if you are developing new or early development technologies. To be suitable, you must also have less than 250 employees; you can apply by speaking to the innovation team at Coventry City Council. Funding: Not currently indicated but given the enthusiasm of the grant listing page and Coventry’s historical support of innovation and internationally patented technologies it will likely be substantial. As part of the councils Green Energy program, the Energy Efficiency Grants scheme provides sizable grants to businesses looking to increase their energy efficiency by the introduction and acquisition of equipment that will lead to overall energy consumption reduction and carbon savings for a business. Funding: Between £1,000 and £50,000, the grant can cover a max of 30% of overall costs towards an energy efficiency measures. This scheme provides financial support for business developing or investing in low carbon technology. The grant can cover costs related to technology development for nuclear energy, offshore wind, waste processing recycling and energy efficient doors, fittings and fixtures as examples. Funding: £1,000 – £50,000, the grant covers 30% of development capital costs. The scheme provides grant funding for business seeking to commercialise products in the low carbon market; this includes products that are new to a market or new to the company applying for the grant. Funding: The grant provides a maximum of £6,000 in funding and can cover up to 40% of revenue related costs, i.e. Software, Consultancy, Market research or Prototype development. An RGF funded grants scheme, East Sussex Invest 4 is a grant scheme run by East Sussex County Council and Locate East Sussex. The grant is intending to stimulate economic growth and job creation by supporting small businesses to grow; there appear to be no criteria apart from being a small business in the area. Funding: Between £15,000 and £40,000 is available, requiring match funding of 60% of the total amount. There is also an option for loan finance of £10,000 to £200,000, this also involves match funding up to 50% and may occur an administration fee of £500. SEF is a substantial fund dedicated to supporting developers in carrying out finance feasibility studies, business case development of new housing schemes and restarts stalled housing schemes to generate employment and housing. To apply to this fund, you will need to reach out the economic intervention team at East Sussex County Council. Funding: The maximum amount to be considered is not listed, but the remaining fund size is £600,000, the fund will close once it is exhausted. Run by Eastleigh Borough Council, the Incentive to Grow Grant is a small monetary grant for new and existing small businesses. The grant can be used for hiring new staff, buying equipment, and marketing. To be eligible for the grant you must live in the borough of Eastleigh and be or become a member of the Southern Entrepreneurs association. Funding: £500, up to 50% match funded to the total cost of the project. The ECIF has been put in place to help grow the Elmbridge economy by providing funds to improve empty shop fronts and renovate retail businesses. To apply for the grant, you must be able to show it will benefit the local economy or attract people to local amenities and services. Work or purchases the grant could cover include street furniture, improving the appearance of empty shops, street improvements and more. Funding: £500 to £15,000, you can get up to 90% of the overall project cost. The DSG is run by the Essex Employment and Skills Board; it offers businesses in the Essex area grants for training young people aged 19-24 in the digital technologies. (The grant is listed on the council website, but the grant page link is broken, you will need to contact the council for further details). ReAct is a grant fund program funded by the Welsh Assembly Government with two primary funding initiatives for businesses in the Flintshire area. The first grant scheme is Employer Recruitment Support Fund and is to support employers/small businesses who recruit individuals made redundant in the previous six months. The second scheme is the Employer Training Support grant and provides a fund that employers can put towards training recruits in job-related skills. You will need to contact the ReAct team for more details and to apply via phone. Funding: For the Employer Recruitment Support Fund the grant is up to £2080, paid in four instalments. For the employer training support scheme, up to a £1,000 is available per business. Gloucester City Council manages this grant scheme, with the objective of supporting local economic growth by providing grants to businesses located in Gloucester. The grant must be used towards capital costs such as premises or equipment purchases among others. You must express interest through the form and once assessed/approved for grant funding, provide the receipts and you will be reimbursed for the project (You will need to be able to pay the full amount upfront for the project, which seems odd given its match funded!). Funding: £1,000 – £10,000, with most grants limited to £5,000. The grant can represent 30% of total project costs for businesses outside the city centre and 50% of total expenses for businesses inside the city centre. Recently launched by the Gwynedd County Council, the toilet grant scheme offers a one-off small grant to businesses who provide their toilets for public use in the Gwynedd area, this is to improve the range of facilities available to the public in the town centre. Funding: One off payment of £500. The ISO Grant scheme aims to local businesses in achieving ISO accreditations; the grant is a monetary contribution towards the cost of consultant fees necessary to meet the correct standard for certification. Initiated in 2014 by Hambelton District Council, the Business Network Support Fund is part of an economic strategy to support business networks in the Hambelton area in combining and growing. The grant funding can be spent on working to increase network membership, marketing or communicating to new or existing target audience and developing links with other networks. To apply, you must be a developing or established business network in the Hambelton area; you can apply via an online application form. Funding: Up to £4,000, however for grants over a £1,000 the Council would expect at least a 20% contribution to the application project by the recipient. Hartlepool Council offers a range of business grants to support local businesses. However, they do not provide information about these grants on their website but ask you to contact their enterprise team for more details. This BECCI scheme is administered by multiple councils, local authorities and universities. It is a European funded project across the UK designed to promote economic growth and opportunities for small and medium-sized businesses to create climate change solutions and technologies. If your developing climate change technologies and solutions and require further development, testing or want to showcase a product you already have your business could benefit from a BECCI grant. Funding: One body has over £1 million available for the project, the amounts vary project to project. It is worth consulting with a delivery body in your area to see what the numbers could be but assume substantially. The BEEP grants are administered by multiple bodies; the grant is for businesses who are looking to use energy more efficiently and get better environmental credentials. To be applicable, you employ less than 250 people and have a turnover of fewer than 40 million pounds. A grant program to support the growth and diversification of SME’s in the Lincolnshire area, it is for both capital and revenue projects. Funding: Between £1,000 to £2,000 covering 25% of total costs. The growth fund is large grant fund of nearly £3 million open for businesses operating in a few core areas including Low carbon, Digital, Healthcare, Visitor economy and Agri-food. The proposed projects and businesses must be able to show a positive impact on the local economy by undertaking the project. To be eligible for a grant of £150,000 will need to create at least 27 jobs and a grant of £500,000 will need to create at least 90 jobs. The grant can be spent on costs including building new infrastructure, machinery, equipment, recruitment, staff and modern technology. Funding: The grant ranges between £150,000 and £500,000. For small and micro businesses with up to 50 employees, 30% of the total project cost will be covered by the grant, for more extensive businesses with 51 employees or more, the grant will cover 20% of the total cost. The Business Growth and Digital Growth Grants support businesses purchasing equipment, software, e-commerce solutions and digital management systems for businesses. If your business can demonstrate that a grant investment will help you to significantly increase your turnover or new jobs in the Lincolnshire area, you will also need to speak with a Business Lincolnshire Adviser to agree your plan and activities before any grant authorisation. Funding: £1,000 to £10,000 and between 30-50% of total cost. A fund designed to alleviate unemployment in Merseyside and provide money and jobs by providing grant funding for small, medium and large enterprises. Any grant can be used for construction, paying staff or buying/replacing new machinery and equipment. Businesses from all types of industries are welcome to apply apart from those in steel, synthetic fibres, coal, shipbuilding, fisheries, agriculture product production. Funding: Not stipulated but pinned to the intervention rate set for SME’s and large businesses by the regional aid map of 2013. The Mansfield Market grant provides up to 12 months market stall rent for free; the program aims to support new market traders and provide representation at the market of underrepresented products. Funding: Up to 12 months free rent at the market. This Business Growth Grant is for slightly more established businesses who can produce a solid business plan and create at least one full-time job as a result of the project and grant. The Mansfield team will also help you form a growth plan and calculated the costs involved. Funded the Welsh Government, the Vibrant and Viable grant scheme supports retail businesses in the centre of Merthyr Tydfil. The funding can be used for the purchase of equipment, ICT and other hardware. To discuss applying, contact the Economic Development Team. Funding: £500 to £5,000. Up to 70% of project costs are covered. From Newport City Council, the grant is for businesses who rent new commercial premises in the city centre or take on additional floor space for their business. The grant will cover the first years rent on any property. To be eligible, you must be based or planning to base your business in Newport town centre. You must have paid all business rates to date, have a business plan, cashflow forecast and one year profit and loss, the amount of grant funding provided is based on sources of a finance an applicant as open to them. Funding: 50% match funding to a maximum of £6,000, i.e. if you apply for £6,000, you will need to have £6,000 also to invest if successful in applying for a grant. Warwickshire County Council has a £2 million fund to support businesses in the Warwickshire area with a focus on micro and small businesses for capital based projects and expenditures. Applicants must be able to show tremendous growth potential from the use of the grant. Priority is given to businesses in sectors including tourism, low carbon tech, creative industries, digital media among other areas. Funding: the grant can cover £5,000 to £35,000 and up to 40% of total project costs (loan finance is also available from £1,000 to £50,000). A dual-stream grants program catering for businesses with small capital and substantial capital needs, the schemes are designed to support of enterprise in the Coventry and Warwickshire area. To find out more information related to acceptable costs and further criteria you will need to contact the council. Funding: Small business £1,000 to £10,000. Large businesses in priority areas can access up to £50,000 in funding. Rates on grants vary depending on business size and location from 10% to 30%. The Digital Enhancement Programme provides financing to support SME’s in digitally enhancing their business in some way this could take the form of creating an e-commerce website, upgrading an ordering system, developing bespoke software in-house or developing a new digital production or application to support the businesses operation. To be eligible you need to have a company based in Northamptonshire, be a small to medium enterprise with less than 250 people and have a clear plan and idea of how new technologies and capabilities gained as a result of the grant will help your business. Funding: Up to £5,000, 50% match funded. With £220,000+ in grant funding already given out, the Ready2Grow funding scheme is an excellent source of finance for new and expanding businesses based in Northamptonshire who is looking for financial and informational support and advice to achieve and sustain growth. To apply you will need to reach out the council and propose a relevant project within your business, they will advise you from, the total process will likely take 8 – 12 weeks. Funding: The grant amount is based on the council business adviser deems right. Funding and finance scheme for private sector businesses based in Pendle who are looking to build and expand their operations in the Borough, the grant is designed to support growth initiatives and overall job creation with economic benefit generation. To be eligible your business must be over six months old and be paying small business rates in Pendle. To start the grant application process, you will need to arrange an initial site visit from a council adviser before you complete the application form. Funding: £2,000 to £10,000, grants can cover up to 25% of total project costs. The Enterprise Support Programme provides funding and assistance to existing and new private companies/social enterprises in the Rhondda Cynon Taf area. This grant can contribute towards the purchase of capital equipment; this includes information technology, improvement to business premises, website coding and more. Funding levels vary with details below but to qualify for up to £5,000 you must be creating one new full-time job and for up to £10,000 be creating two full-time jobs. You will need to complete an expression of interest form to apply. Funding: Startups trading under 12 months can get between £500 and £10,000 in funding, with a maximum of 40% of project cost being provided by the grant. Existing businesses older than one year can apply for between £1,000 and £10,000 with a maximum grant contribution of 40% to total cost. Home-based businesses can apply for a maximum grant of £1500. The Ribble Valley Borough Council are providing grants for entrepreneurs with new businesses or those who have recently started, with their partner Regenerate they are also offering access to free coaching, workshops and more. To apply, you will need to reach out the to the Hyndburn Enterprise Trust. Funding: Not stipulated (Funding is inferred as partial, assume match funding requirement). The Apprenticeship Progression Grant is run by the Rochdale Borough Council and can provide employers with a grant for further educating apprentices; this grant also provides funding the apprentice! The priority for funding is in the areas of management, engineering, manufacturing, health and social care. The funding is issued when apprentices progress to advanced or higher apprenticeship qualifications in priority sectors and are residents of Rochdale. Funding: £1,000 per apprentice with a max of 2 grants per employer. Rutland County Council offers different types of financial support to new and small businesses choosing to call Rutland County home; these grants are match funded and designed to support a wide range of business applications depending on location and business size. Funding: You will need to contact the economic development team for exact numbers. The business expansion grants are designed to support existing businesses in Scarborough Borough in expanding and consolidating their market position or expand into new markets. The grant is intended to help actively revenue generating projects are opposed to capital expenses. Funding: Up to £5,000 for one business in one year. A capital funding grant designed to support business growth, eligible businesses in the South Holland area, can use the grant to fund the purchase of capital assets needed to increase sales, production, create innovations or drive efficiencies, ultimately contributing to local economic growth and job creation. The application process is incredibly quick with the council aiming tog et a decision to you within two weeks. Funding: £1,000 to £25,000, up to 28% of the cost of any capital purchase can be paid for by the grant. To support the revival of the Stockton Town Centre the local council are offering retail businesses a sizable grant towards commercial building rental. For new businesses the grant will cover renting a vacant property, for existing businesses this could cover extra floor space or premises rented necessary to expand and support growth. In collaboration with Collaborate CIC, the Power to Change funding programme is there to provide financial and informational support to community businesses based in Suffolk. The grant to community-oriented businesses in idea, planning or early running stages. The total grant fund is £30,000; the scheme will likely be closed when it is exhausted. To be eligible you must be starting or running a community business, in the eyes of Suffolk County Council, this means being locally based, addressing community needs, being accountable to the local community, have a trading model that benefits the community and have an overall broad positive impact on the community as a whole. Funding: £250 – £5,000 (Funding dependent of the stage and type of project). Test Valley Council is intent on encouraging independent retail companies to take up unused and vacant spaces in the towns of Andover and Romsey. This encouragement is taking the form of grants to cover rent for existing and new businesses moving into ground level vacant properties in the town centres. Funding: £1,000 (Payment is in stages with £500 paid as the first three months and a further £500 nine months later). Under in the Innovation Grants scheme, evalu8 are actively offering consultancy on low carbon transport technology to SME’s in the East of England. The grant is intended for companies who need advice in developing new products, services or processes related to low carbon transport technology; there are no specific eligibility requirements beyond what’s required under the Innovation Voucher Scheme. Funding: The AVDC Business Grant can award a maximum of £5,000 for existing businesses (trading for more than a year), covering up to 50% of the cost (excluding VAT). Turnover is expected to exceed 10% per year from the date the grant is awarded. The director of this fund is Business Gateway Fife, and the grant specifically focuses on small businesses. You should not have more than 49 employees and must be based in Fife. You will be given preference if you are working in creative, environmental industries or a B2B market. You can find application details on Fife’s website. Funding: You can receive a grant of between £5,000 and £20,000. Business Gateway Fife administers funds on behalf of the Fife council. Applications must be part of a business review and a fully-functional business plan. This grant is aimed at businesses that are looking to grow in Caerphilly. The maximum number of employees should be 250 or less. The director of the grant is Caerphilly County Borough Council. The business must be a full-time operation and be established in Caerphilly, and at least one of the owners or the directors must be involved in the business full time. Funding: The maximum amount of funding available is £2,000. If you’re looking to start a new business, there are a huge range of new business grants available to support you in that endeavour. Grants are typically in the form of cash offered up to businesses who apply and meet the criteria for a specific grant scheme. These types of new business grants tend to range from £250 to £5,000, with the larger grants typically going to support new businesses in economically deprived areas or to support businesses who are starting up in areas the government is supporting at any given time such as renewable energy, mining, space technology and so forth. These grants tend to be majority 100% funded meaning if you successfully apply you’ll be given the money upfront with little or no conditions to how its spent (with the exception, of course, it must be spent on the business your starting). Some startup grants will, however, have criteria such as how you can you spend a grant or they will require you to match fund between 20- 50% of the grant amount your applying for. Searching for these type of grants can be a nightmare, that’s why you’ll find below our detailed of the best grant programmes available to new businesses and startups based in the UK. So if your starting a business or have just started it’s well worth taking a look to see if there is government funding or private financial support available to help you in your new endeavour. The startup up grant award is an initiative from Broadland District Council to support unemployed people starting a business in the form of a small grant. The main criteria are that you can only apply after a period of unemployment, your new business must be your full-time profession, and you will need to provide a reliable business plan and cash flow projection. You can register a profile and apply online if successful the grant will be paid once your business begins trading. A grant from UK Steel Enterprise in conjunction with Caerphilly County Council to provide a micro business grant to help residents in Caerphilly setup a business for the first time. The council requires that the grant funding is used for purchasing building works, marketing, development of a website or capital/ IT equipment. To apply you will need to supply a business plan of cash flow and profit/loss projections for at least one year, you will also need to provide two quotes for any proposed purchase under the grant, and at least one of the company directors must be employed by the company full time. Funding: The grant funds project costs up to £500 and is 50% matched funded, i.e. If you apply for £500 you will need a further £500 to put in yourself. A startup grant from Cheshire West and Cheshire Council to support residents in launching new businesses or enterprises, this includes new ventures not older than three months. To apply, you will need to supply details of a business advisor, an updated business plan and cash flow forecast; you must also prove the grant is necessary to start up your business. Funding: Grant funding available is a maximum of £250. A micro-grant to support entrepreneurs in the Chorley area turning their business ideas into new businesses. To apply, you will need to reach out to a business advisor at Chorley Council. Funding: Up to £750, this can be in the form of a traditional grant or a loan. Crawley Borough Council runs the grant scheme, providing startups and small businesses with initial funding to help their new businesses get off the ground or expand in the early years. You can apply using the council application form; grant applications are reviewed every four weeks until funds run out. Funding: Up to £2,000, the grant is match funded up to 50% of the project cost. The Start-Up Fund provides a single grant to help businesses with starting out; this could include buying equipment, marketing, promotion and any initial start-up expenses. To be applicable businesses must be set up in the Elmbridge area and be no more than six months old. Growth Lincolnshire is a scheme from the University of Lincolnshire that offers a monetary grant and support to final year university students in Lincolnshire who plan to stay in Lincolnshire and start a new business. To be eligible your business cannot be trading, you must live in the Lincolnshire area, have no visa restrictions and have a viable business idea. Funding: £2,500 (Split into two principal payments of £1,500 and £1,000). The innovation grant programme offers access to proof and concept grants and innovation vouchers. The initial grant provides funds for SME’s to build new products, processes or create new markets. The second grant provides funding for SME’s to hire consultants to carry out research and consultancy for technological and innovation projects. Funding: Proof of concepts grants are between £1,000 and £10,000. Innovation vouchers are from £1,000 to £5,000. The Tower Hamlets Council offer a grant for new startup businesses, to be able to apply you must attend and complete the councils 4-day startup programme course. To apply/attend the course you will need to submit an application form to startup ready. Malvern Hills Council run a grant scheme to support businesses based in the district, the aim behind the scheme is to fill vacant business premises, regenerate town centres and create new jobs. Thus you must be able to demonstrate how your business or project will achieve this. To be eligible, you must be employed full time by your business, provide a business plan and have the relevant business licenses to operate in place. Funding: A maximum of £750 can be applied for, this goes down to £500 if you are not moving into a ratable business property. Offered by Mansfield District Council, the Business Start-Up Grant is available for applications from all residents in the Mansfield area. The grant can be used to fund the costing of starting up; startup costs can include purchasing equipment, advertising, building a website and more. The Ashfield markets scheme allows new market traders to get a financial grant to support their new venture in moving into the Idlewells Indoor Market. Funding: Up to £1,500. It also provides up to £500 for traders looking to move into several local indoor markets. Available to startup businesses up to a year old, the Start-up business grant from UK Steel Enterprise and Newport City Council is designed to provide funding support to pre-startups and relatively new businesses who will grow the local economy and create jobs. You can use the grant to pay for costs including software, training, commercial rent and more. Awarding of the grant is discretionary and carried out by the council, social enterprise, companies, sole traders, and all organisations are eligible to apply. Funding: Up to £1,500, the grant funding is up to 40% of the total cost of any project. The Business Support Grant initiative is designed to support local businesses wishing to grow or start new ventures. Businesses with less than four employees in the Reigate and Banstead Borough area are eligible to apply; you will also need to provide a business plan for review if successful you will be invited to an interview at the town hall. A small grant provided by the Scarborough Borough Council to support startup businesses less than 18 months old, applications for the grant can be made to purchase equipment and machinery, improvement of premises and different types of marketing. Funding: Up to £1,000 for one business in one year. The Business Incentive Grant is meant to support startup businesses in the Test Valley in building a competitive local economy. To be eligible for the grant you must apply before you start your business, you must be working on the business full time and must be prepared to receive two site visits from the council to where your operating your business from as well as provided the necessary paperwork. The whole process, unfortunately, is rather long and will six months or more. Startup businesses in Aylesbury Vale (i.e. those trading for at least three months or up to a year) can apply for grants aimed at improving their business performance and growth. The maximum number of employees you should have is 30. The fund director is the Aylesbury Vale district council. Funding: The AVDC business fund can award a maximum of £3,000 for early-stage businesses to improve business performance and growth, with AVDC paying up to two-thirds of the cost. The Regenerous startup grant is available to businesses situated in the Merseyside region. The director of the fund is Regenerus, previously known as South Sefton Development Trust. To be eligible, you must be based in Merseyside. Application details are provided on their website. Funding: Startup support for new businesses setting up across Merseyside. If eligible, the programme includes a combination of workshops and one-on-one assistance from a qualified business adviser to produce your business plan and cash flow along with a startup grant of £250. The Business Development Startup grant scheme has been established to encourage the formation of new businesses in Scarborough Borough. The director of the funds is Scarborough Borough Council. Funding: The amount of funding available is £1-£1000. Startup grants are targeted at new startups and companies less than 18-month old. An application can be made for assistance towards the cost of necessary equipment and machinery. Any grant awarded will be 50% of expenditure within limits of the grant amount. Overview: The grant is available to people who are looking to start a new business in the Orkney region. The company should comprise no more than nine employees. The grant is managed by the Orkney Business Gateway. The grant may cover any start-up costs such as equipment, training and marketing. For more information, you can contact the Orkney Business Gateway via their website. Funding: The maximum amount of funding provided is £1,000. Applicants for start-up funding must be developing a new, full-time start-up business. The business must not be launched before application submission. The applicant must submit a business plan with two years cash flow projections. The startup grant is reserved for people looking to launch their own business. The director of the grant is West Dunbartonshire Council. The maximum number of employees you should have to be eligible is 250. A business plan, as well as proof of trading, must be provided to qualify. You can inquire about the grant from the details provided on the West Dunbartonshire website. Funding: A grant of £500 is available to help people over 18 with costs of starting a business. The NBV business grant is for businesses based in Nottinghamshire, Derbyshire, Leicestershire and Greater Lincolnshire. Your business needs to be B2B and ready to start trading. It also has to be already registered with HMRC or Companies House. You need to start by expressing your interest on their website here. Funding: The grant amount can be anywhere from £1,000 to £2,500 depending on the project spend. The fund director is the Cumbria Chamber of Commerce. You should not have more than 250 employees involved in your business. There is a telephone-based application to assess your eligibility. You can apply through the Cumbria Chamber website. Funding: The business Startup Support Programme (BSUS) offers free business advice, support and training to anyone looking to start a new business or set up a social enterprise, or those in the first three years of trading. There’s also business support offered to women based in rural Cumbria. The business training course focuses on areas such as social media marketing and search engine optimisation. Below is a further 121 grant schemes and organisations we have yet to write about, these schemes include grants for small, medium and large businesses. You will find the name of the scheme/organisation with the geographic area the grant covers and a link to find out more information. The majority of grants are funded by national, local and European government to support deprived areas, to stimulate technological advance through research and development, to make a local or the national economy more competitive in a specific sector. Overall 99% of these government initiatives have the objective of growing the economy and in the process creating jobs. Grant programmes funded by private initiatives typically will be providing a grant to generate some form of marketing return, out of sheer goodwill or because they are mandated by their organisation ethos to support business or small business in some way. Grant schemes are in the habit of opening and closing several times over their lifetime; below you will find business grant schemes that are both temporarily and permanently closed. We endeavour to add grants from the small business, new business and local government section to the closed list as and when they shut down. The Cabinet Office Behavioural Insights Team in collaboration with the Department for Business Innovation and Skills (BIS) run the Growth Vouchers programme. The programme offers to cover the costs of expert advice needed by a business from individual and group consultancies in the private sector. The advice areas covered under the program including digital technology, attracting customers, marketing, recruiting, empowering staff, enhancing leadership skills, management training, raising external finance and managing company finances. Most small businesses are eligible for the Growth Vouchers Program; you will need to fill out paperwork in advance and afterwards to claim back money spent on consultancy. Funding: Varies year to year. 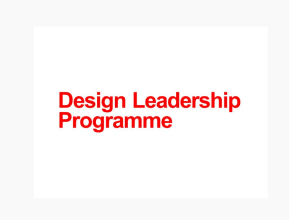 Funding: The design leadership programme is a subsidised programme offering up to 10 days of design and innovation-focused mentoring over a period of 6 to 18 months. Most programmes cost between £2000 & £10,000, and if your application is accepted, you will receive a subsidy, meaning you will only have to pay 50%. A funding programme from Arts Council England enabling organisations to acquire the right equipment and infrastructure to deliver their work and in doing so become more productive and resilient. The grant also aims to increase innovation, sustainability, and environmental friendliness at the companies it funds. To be eligible for funding your projects must fit Arts Council criteria (Arts and Culture), your grant request must be for capital expenditure, you cannot receive National portfolio funding, and they also advise speaking with the Art council about your project before applying. Funding: Up to a maximum of 85% of the total project cost with a grant amount between £100,000 – £499,999 (with large Capital Grants going significantly higher). Run by VisitEngland the Great UK Challenge Fund supports businesses delivering economic benefit and job creation through a new project. The funding is available to innovative companies operating in the tourism, education, trade and investment sectors across the United Kingdom. The fund is over £2,000,000 and is part of the GREAT campaign. Businesses operating in the tourism sector or bringing in international students for education are particularly attractive to the scheme. To be eligible, you must be in one of four sectors including enabling and cutting-edge technologies, infrastructure systems and manufacturing and advanced materials. You can be an employee, company owner or sole trader and work in innovation. Funding: £50,000 per winner (Max 4 with a total fund of £200,000). Leicester for Business is for pre-startup and business support. The maximum number of employees you should have is 249, and you must have a business address in Leicester and be over the age of 19 to avail the grant. Business support is offered to individuals thinking of becoming self-employed or start a limited company. Funding: The maximum amount of funding you can get is up to £3,000. Start-up companies are introduced to a network of clients and exposed to workshops and seminars which can help them grow. Small businesses will be provided with a business coach for 12 months to aid in their sustainability and growth. Community Business Bright Ideas Fund is here to support community businesses by providing early-stage capital and expertise, aiding in turning business ideas into businesses and growing existing community businesses. All community run and owned businesses including but not limited to community interest companies can apply for support and funding. Funding: Up to £1,000 – £15,000 (the stage of your venture will change the amount of funding you can potentially access). E-Business grants are focused on helping businesses develop e-commerce services. The director of the grant is the Welsh Government. You should have less than 250 employees and must be in business for at least a year. You can apply for the e-business support on the Welsh Government’s business website. Funding: The maximum amount of funding provided is £10,000. Businesses must be dealing with B2B type operations. The business must be situated in the convergence area of Wales to be eligible. Funding: Provides £1,000 – £5,000 in funding to a maximum of 40% of the total project cost. Run by Denbighshire County, the grant is designed to assist small businesses to grow or new businesses to start, to be applicable you must show there is no alternative source of finance available to meet your project needs. Funding: £500 – £10,000 award on a 50% of full project cost. With a cap of £3,000 be applied to any applications for marketing.